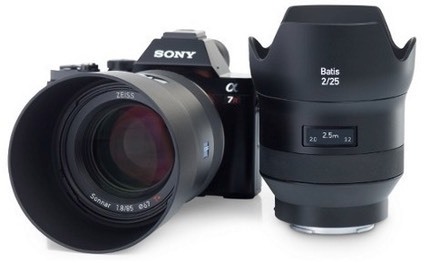 Zeiss announced two new prime lenses designed for Sony E and FE mount cameras, the Batis 25mm f/2 and 85mm f/1.8 lenses. These are Zeiss designs manufactured and sold by Zeiss, not Zeiss licenses to Sony. 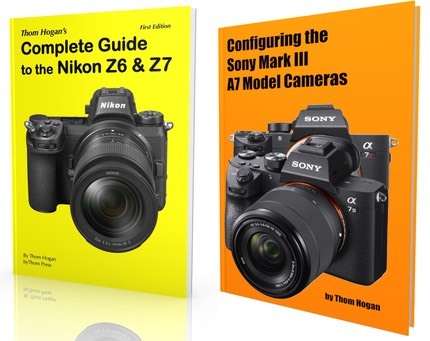 Both lenses should be available this summer and feature a unique OLED display for focus distance and DOF as well as dust and moisture resistant designs. The 25mm f/2 is a Distagon design that will sell for US$1300. The 85mm f/1.8 is a Sonnar design, has built-in optical image stabilization, and sells for US$1200. Both lenses come with supplied lens hoods. I’m impressed with Zeiss’s ability to take traditional optical designs and bring them into modern times. Besides the modern look Zeiss first showed with the Loxia lenses, we now also have a very interesting electronic display of focus distance that puts a new twist on the old, difficult to read and interpret DOF markings on lenses. Of course, Zeiss seems to be playing in a narrow field, basically repeatedly creating 24-85mm prime type lenses with these new designs (Batis, Otus, Loxia), but they are pushing forward in materials choices as well as basic design decisions. The optical stabilization in the 85mm Batis is also indicative of Zeiss pushing new technologies into their basic lenses. It will be interesting to see how well this performs.